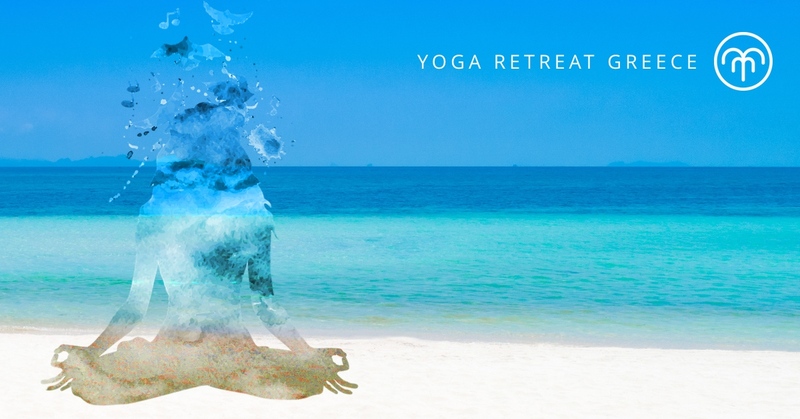 I would like to invite you to join me and Catherine Leong of YogaVenture for the upcoming Yoga Retreat Retreat Greece Kythnos 2019. 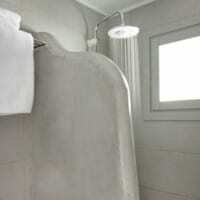 The hotel at Porto Klaras is booked and awaiting your arrival. This is one of the few “undiscovered” gems of the Greek Isles. Read the blog post to read more about the island of Kythnos. 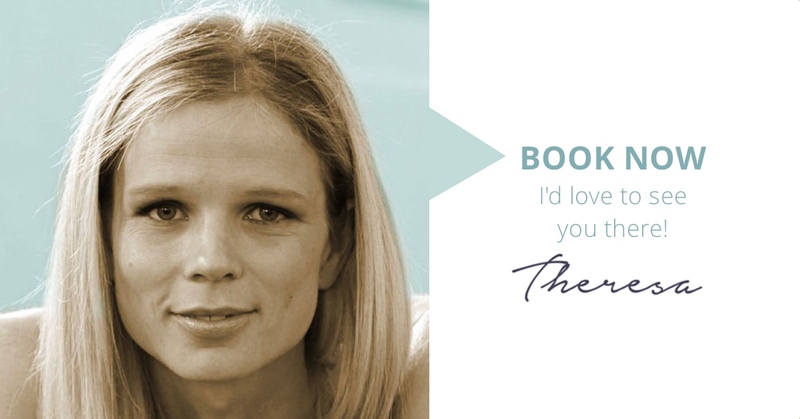 Book now – it will be fun. And… GREECE! It’s gorgeous, wonderful, amazing. *Price is for entire stay – Price includes transfer from port to hotel, accommodation, daily yoga classes – morning and evening practice, breakfast at local taverna. Excludes flights to Athens, Ferry to Kythnos, lunch and dinner, additional activities. Arrive at port Kythnos from Athens. Taxi collect and transfer to hotel. Settle in, unpack. Evening Yin practice followed by Yoga Nidra. Dinner at one of the local Taverna’s. Herbal teas and coffee available with sliced fruit before class. Breakfast served at local taverna. Quiet time for you to explore the local village, head to the beach or relax in your room. Evening Yin class followed by Yoga nidra. The rest of the day is yours to enjoy. Book a massage, a guided kayaking tour or spend the day on the beach. We want you to enjoy the precious time this retreat offers you to relax, unwind and chill out. Dinner together at a local Taverna. Morning practice on the beach (weather permitting) Herbal teas and fruit served before class. Breakfast served at local taverna after class. Walking tour of the island for those who would like to join. Quiet time in the afternoon for siesta! Last dinner at a local Taverna. Morning Vinyasa practice, closing ceremony. 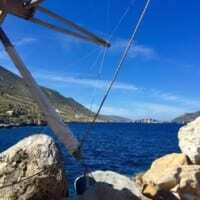 Transfer to port Kythnos, depart on ferry together for Athens. PLEASE NOTE: We have arranged special prices with the hotel on your behalf – please book using this booking form and not via Porto Klaras directly. We suggest either Turkish Airlines via Turkey or Emirates (Discovery Rewards) via Dubai – please be aware that there are no direct flights to Athens from South Africa. Our recommendation is to get to Athens the day before i.e. Wednesday 15 May. The reason is the ferry to the islands may not run on time during off-season – better safe than sorry! Also take into account layover time in Dubai or Istanbul. Sometimes interconnecting flights have a delay of 8 hours. We have no recommendations since there are a lot more options within Europe and elsewhere – but we do suggest getting to Athens the day before – i.e. Wednesday 15 May 2019. WiFi is available to purchase on the ferry ride and this is usually between €3-5. Purchasing a sim card is also an offer in Athens, but there is free Wifi available at the hotel in Kythnos. Meals: Breakfast included only. Lunch and Dinner on the island: A meal can cost you anything from €10-25 depending how extravagant your palette is. The portions are generous and ideal for sharing. Kitchenette: Since your room will have a kitchenette why not explore local Greek delicacies from the local bakery and supermarkets for lunch and enjoy a delicious Greek meze dinner at one of the many local tavernas. A bottle of water from a restaurant can cost anything from 50c – €1- but from a supermarket in Athens only 16c. Beer at a taverna around €3.5 and a cocktail around €5. Yiannis at Porto Klaras hotel will help us scout out the best local Tavernas. Many are right on the water’s edge!